I am all about choosing snacks for my children that not only will they LOVE because of the taste but that I would LOVE because it is good for their bodies. 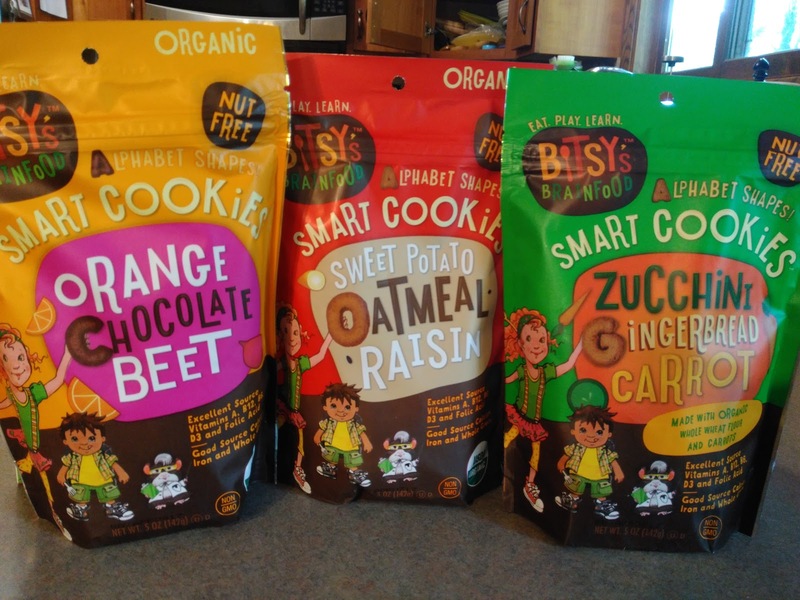 And I have found Bitsy's Brainfood has the same thought process as me and we are loving their snacks! At Bitsy's Brainfood, their goal is to make mega-delicious snacks that nurture kids' bodies, minds, and imaginations—to teach them to crave the right foods, and to make learning fun. They strive to create food that starts with a simple belief – healthy bodies and healthy minds are connected and learning to eat smart should be fun. Bitsy’s Brainfood products (including cookies and cereals) are all Certified USDA organic, non-GMO and free of artificial colors and sweeteners. The new Smart Crackers provide a half-serving of vegetables in each serving, and help kids learn smart snacking habits. And these Smart Crackers are a GIANT hit in our house! Snack time is fun time and happy time when my children get these Smart Crackers and I have a smile on my face too because I know they are healthy and good for my children (and they don't know it!) because they taste so great! Available in three flavors – Cheddar Chia Veggie, Maple Carrot Crisp and Sweet Potato Cinna-Graham – these snacks are a convenient way to give your kids better-for-you snack options. There wasn't a single flavor my children didn't like and they begged for more every time! And for a special treat, they offer Smart Cookies which are made in cute alphabet letter shapes and made with organic fruits and veggies! Good food doesn't have to be cardboard style boring! Bitsy's Brainfood thinks like KIDS when it comes to FUN, and like PARENTS when it comes to NUTRITION. I love that and I love their products - and so does my whole family! You can purchase Bitsy's Brainfood at a local retailer near you. 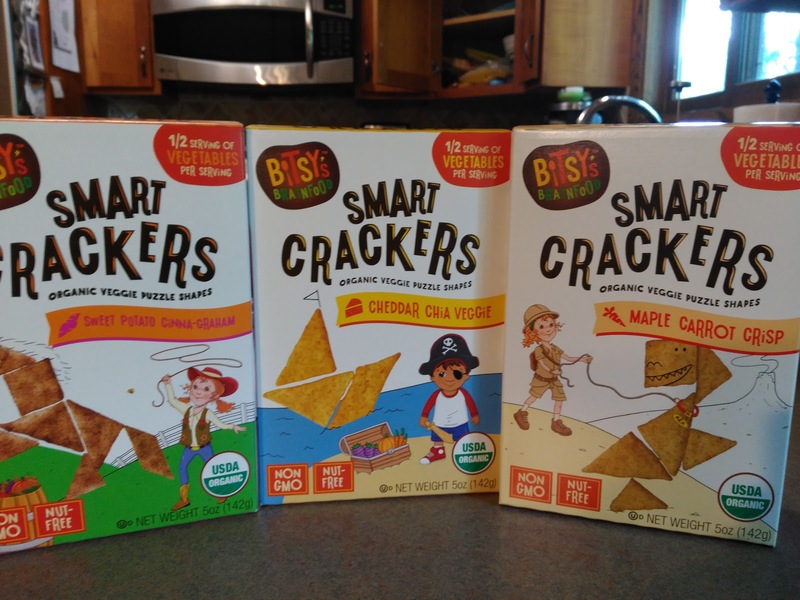 Bitsy's Brainfood is generously offering three Smart Cracker flavors to a lucky winner!